The Minister for Petroleum, Hon. Armah Kofi Buah has hailed the continued investor interest in Ghana’s oil and gas industry in spite of the sustained decline in global oil prices, as a demonstration of confidence in the economy. 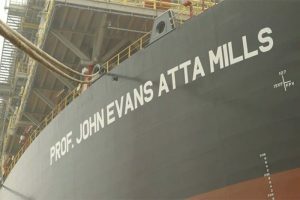 Addressing a function to mark the arrival of the Production Storage Offloading Vessel (FPSO) Professor John Evans Atta Mills at the shores of Ghana last week, the Minister suggested that the sustained interest is good for the government’s transformational agenda, adding that “the arrival of FPSO Atta Mills moves us to a sustained production of Oil and Gas”. The FPSO will produce and store oil from Ghana’s Tweneboa-Ntomme-Enyenra (TEN) offshore oil fields. The Minister also gave indication of where government intends to maximise its benefits from the country’s hydrocarbon potential, describing the gas sub-sector as “the major game changer for Ghana’s economy”. He added that, “Government is systematically developing additional gas fields and ramping up volumes in existing fields”. Hon. Buah disclosed that, in the next decade, 80% of Ghana’s source of power will come from thermal generation, with gas as the critical feed stock. “The President’s vision of ensuring that by 2020 Ghana gets 3000MW of power will be achieved because we estimate that with the various projects lined up, gas volumes from indigenous fields will be enough to generate over 3000MW of power”. The Petroleum Minister also noted that significant progress has been made in the implementation of the Local Content Regulation L.I 2204. “Significant Local Content milestones have been achieved with enhanced participation of Ghanaians in procurement of TEN and ENI Projects” he added. Participation of indigenous Ghanaian businesses in major infrastructure projects within the oil and gas sector continues to grow. 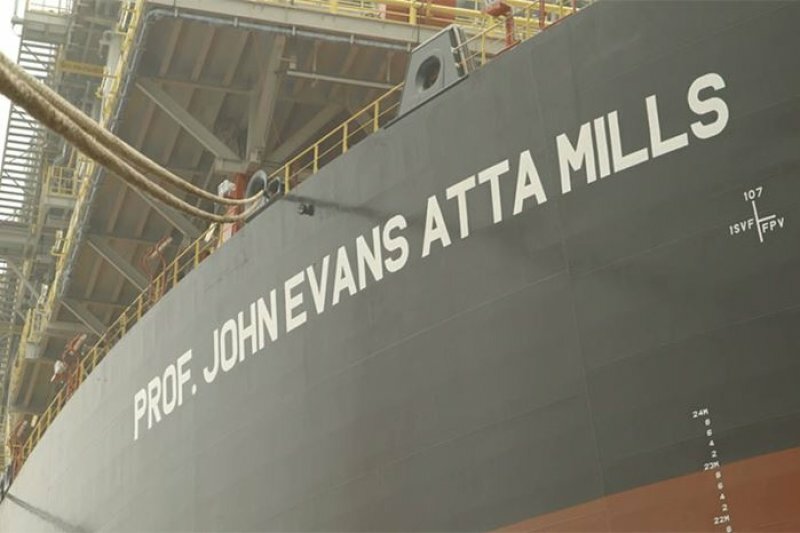 For instance, in the construction of the FPSO Atta Mills, Ghanaian companies contributed remarkably. The deck of the vessel which is lined with hundreds of modules and pipe rack support tools were fabricated by Ghanaian companies. The vessel’s anchor piles which will keep it anchored in place where also fabricated in Ghana. The TEN Project is expected to deliver about 80,000 bopd and 60 mmscf of gas daily. First Oil is expected in August 2016 while First Gas is expected in the third quarter of 2017.